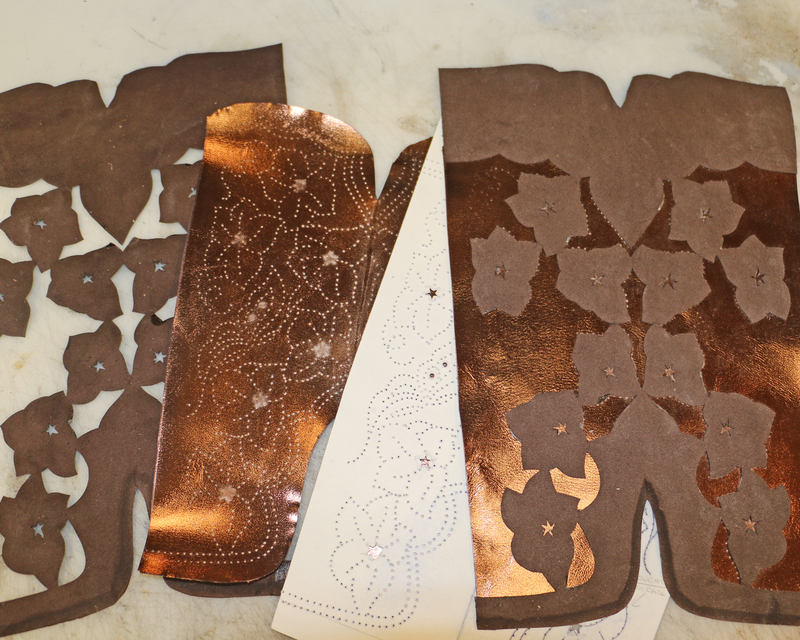 Today I’ve been cutting, skiving, and putting together lots of delicate little leather pieces. Soon this will be a boot top. That’s gonna look AMAZING! That kind of detail would probably send me over the edge. Looking forward to seeing this one finished!